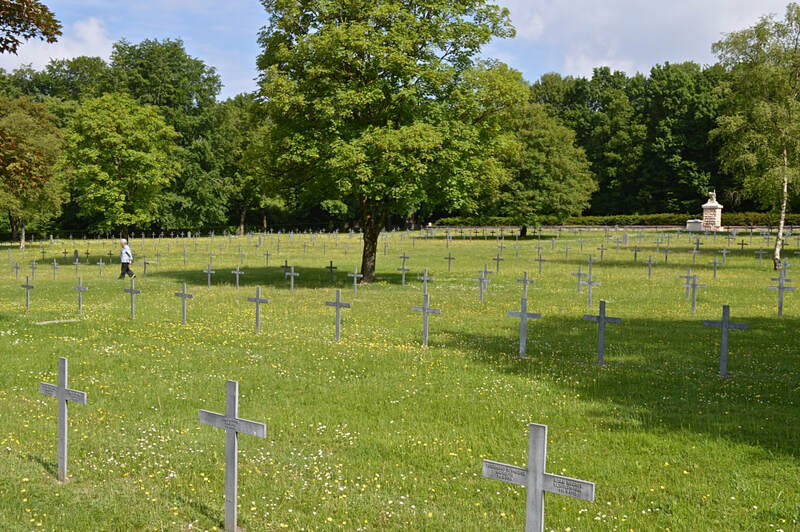 A few miles from Saint-Mihiel, north of the road to Apremont la Forêt is the St. Mihiel German Military cemetery in Gobessart. 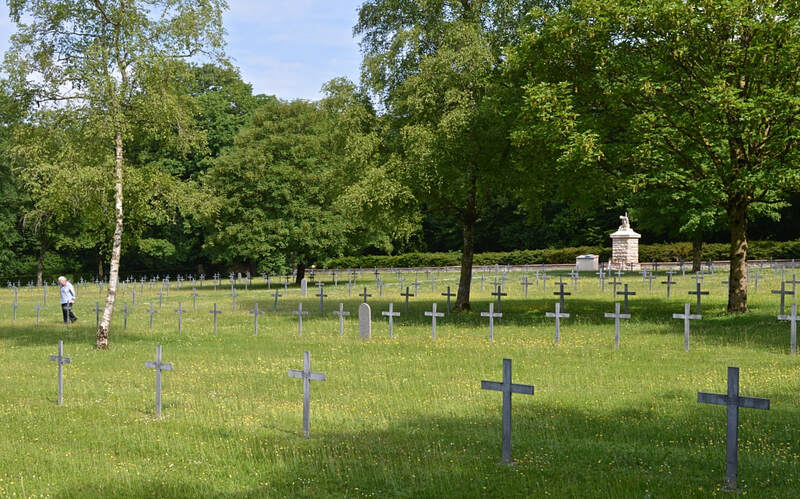 The cemetery contains the graves of 6,046 German soldiers who lost their lives in this sector, mainly in 1914 and 1915. They were originally buried in a number of small graveyards within the Saint-Mihiel Salient but their bodies were all brought here after the war. 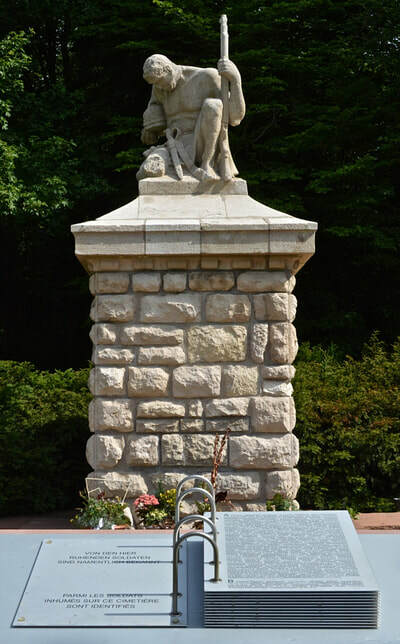 The central monument, showing a man afflicted by the death of his comrades, comes from the former German cemetery in Woinville.